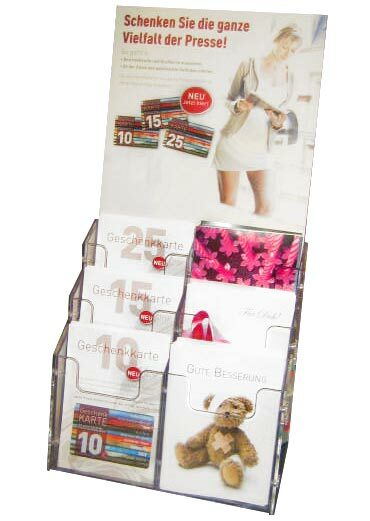 The EcoValue card system, consists of several modules. It is operational, even with a multi-functional terminal and high-quality printed cards. If you are still interested in analyzing of your customer data, it is possible to extensible the system with the software EcoPC and EcoOutlet at any time. The cards with there own design are equipped with a security chip. The terminal is simple to use and can be used comfortable in the near of your fund. 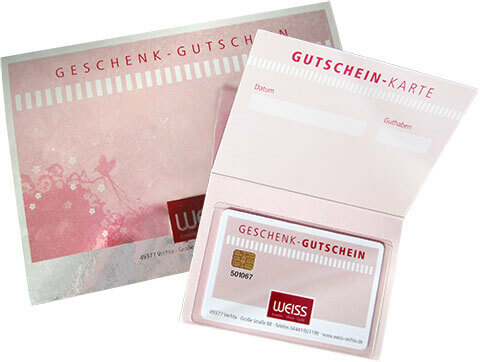 For the wide variety of application options for loyalty and gift cards, have a look at our overview presentation: Overview to Costumer Cards. Each euro that is already booked on the card by the customer is already in your fund. This revenue can no longer taken away. It’s just a matter when and whether the customer wants to redeem these sales. Studies have shown that each year about 9% of booked values will not be redeem, because some loose there gift card or other causes. This money remains in your fund without any cost of sales. A voucher can be used in a composite of several partners and it will also be accepted. The customer receives so even more flexibility, so that his gift card can still be used more multifaceted. That is interesting for: Shopping centres, shopping malls, Advertising Communities Associations. The optional software of our Gift Card System provides useful tools to support your marketing activities.